Conveniently located in the high-growth North Dallas, Richardson & Plano corridor of the Dallas Metroplex, Addison Municipal Airport is the best choice for aircraft sales and service in North Dallas. 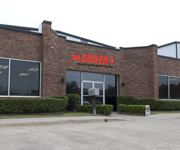 The Cutter Aviation Dallas-Addison team is dedicated to making your aircraft service and maintenance experience as easy and worry-free as possible. With an experienced and dedicated team of professional, factory-trained Airframe & Powerplant (A&P) technicians and Authorized Inspectors (IA) on staff, you can be confident that your aircraft will deliver on-time, on-budget, and squawk-free. 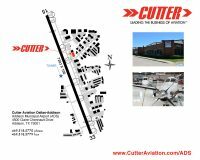 Cutter Aviation Dallas-Addison is a Factory-Authorized Service Center for Pilatus Aircraft, HondaJet, Piper, Beechcraft, Daher TBM Aircraft, and upgrade products from Raisbeck Engineering, Blackhawk, AmSafe, BLR, and Teledyne Continental. Also conveniently located at Cutter Aviation Dallas-Addison is the North Texas dealership location of Cutter Aviation Aircraft Sales representing Pilatus Aircraft sales, HondaJet, Texas Piper and Daher TBM Aircraft. From piston single engine aircraft through multi-engine turbine aircraft – new and pre-owned – our experienced sales team is ready to help.